Unai Emery endured an opening weekend defeat to champions Manchester City in his first Premier League game as manager of Arsenal. But, Emery’s new(ish)-look Arsenal, though naive, side showed signs of promise in a defeat which should not be used to criticise his appointment too soon. Against fellow Spaniard Pep Guardiola’s Manchester City, Emery took to implementing his tactics in perhaps the most difficult of situations. Playing a 4-2-3-1 system with Aaron Ramsey as a no.10, and both Mesut Özil and Henrikh Mkhitaryan in wide roles, Arsenal looked to play out from the back, with more involvement in build-up from goalkeeper Petr Cech, who received criticism — some of which very harsh — from some for his performance. I also think neither Özil nor Mkhitaryan were helped by how Manchester City’s two best players against Arsenal were Kyle Walker and Benjamin Mendy. The full-backs differed in movement and positioning, with Walker at times ‘bombing’ down City’s right-side with astounding change in pace, given licence to do so by winger Riyad Mahrez tucking inside. Whilst Mendy (who made not one but two assists) tended to drift on the inside and outside of the flank, dragging Özil, who would drop deep to support Bellerin, out of position, while also combining well with Raheem Sterling. A very interesting and differing use of full-backs from Manchester City in comparison with last season. The tactics used by Arsenal should have arguably not been used against this particular opposition. It can be very risky to play as Arsenal did against a side with such rigid organisation in their press. But while the positioning of Arsenal’s full-backs and deeper midfielders played into City’s hands during the first phase of build-up, there was a sign of heading in the right direction from Arsenal, and this was particularly apparent during the second-half. Arsenal did cause City quite a few issues, notably through Alexandre Lacazette’s introduction. I was also impressed by new signing Matteo Guendouzi, who though was caught out by Manchester City’s press at times, was prepared to take risks on the ball. Emery could be criticised for not choosing to be more grounded and subsequently more respecting of City’s ability in regaining the ball quickly high up the pitch and dominating wide areas, but I do like how Emery was prepared to ‘play’ against City. Though too open, it gave us an insight into how Emery intends to set-up Arsenal this season, whether you lie it or not. Was Emery in a way reminiscent of Wenger in how he wanted to ‘play’ against City? Is that a good or a bad thing? Nevertheless, this first league defeat should not be an inclination to complain or even worry about what is to come. Arsenal lost their second game of the new league season, too, to Chelsea, who also appointed a new coach in Maurizio Sarri and enjoyed a contrasting start to the new season, defeating Huddersfield Town 0-3. But Arsenal lost only narrowly, a 3-2 defeat which also presented pros and cons of its own. Sarri’s Chelsea soared into this encounter in fantastic fashion, scoring within the first 10 minutes. Jorginho’s excellent pass into the left channel, meeting the third man run of left-back Marcos Alonso, crossed the ball into Pedro who did very well to stay onside against a rather high Arsenal back line and finished well. This was followed by a second goal, which came after Pierre-Emerick Aubameyang missed a huge chance. Arsenal’s loss in this match was as a result of player mistakes/situational decisions, tactical issues and the strength of the opposition. As the first-half wore on, however, Arsenal were able to get back into the game, with Henrikh Mkhitaryan pulling a goal back, and then Alex Iwobi equalising before the end of the first-half. Both of these goals came from movement in the box, but, both of Arsenal’s goals showed the benefit they had in this game: Chelsea had the less-organised press and less-organisation in the penalty-area. The second-half was relaxed compared to the first, with Chelsea gradually reasserting dominance. Throughout the game, Chelsea attacked through the left-side of the pitch, and were enhanced by the introduction of Eden Hazard, whose dribbles in the latter stages of the game caused issues for an Arsenal press that was simply not tight enough on Chelsea throughout the match, and also combined well with Alonso who scored Chelsea’s winning third goal. Arsenal, though, having lost their second match on top of their first, have much more positives to take from this game than they did against Manchester City. To add, this London derby also added further insight into how Unai Emery wants Arsenal to set-up. Arsenal once again played a very high line, aimed to add numbers in midfield and aimed to exploit spaces through runners from deeper positions. But, against yet another side who likes to dominate the ball, possession and subsequent control of the game was hard to come by. Chelsea dominated the pace of the game and used the ball better, to put it very simply. Funnily enough, both Chelsea and Arsenal have undergone similar tactical changes, in that both sides have now switched from back three formations (Chelsea: 3-4-2-1/3-5-2 and Arsenal: 3-4-3) to a 4-3-3 and 4-2-3-1 (though I would not be surprised if Emery plays a 4-3-3 at some point) respectively. To return to the primary point, Arsenal are very much in a transitional phase, with a new manager who wants to deploy a new-look set-up that players will take time to get properly used to. Because of the direct impetus from Emery, this is clearly a long-term appointment that will take a few seasons/transfer windows to retain a sense of momentum. Supporters of Arsenal should not expect an imminent top four finish as the bare minimum this season. 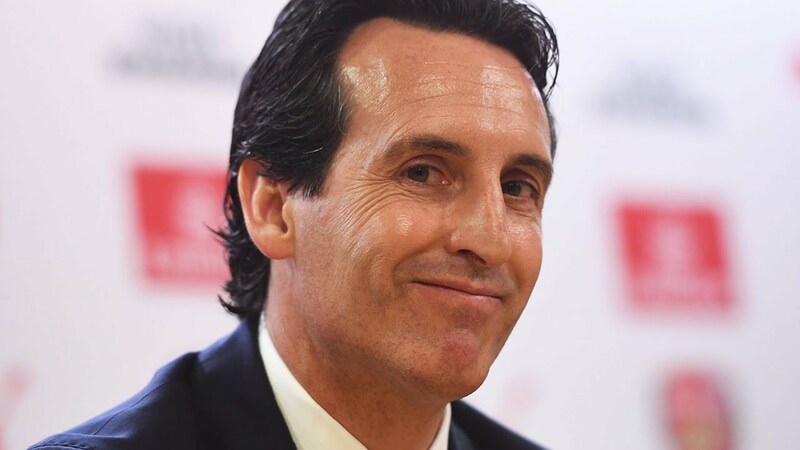 I would argue this season is one for experimenting with players and integrating Emery’s ideas, and that the Europa League, Arsenal’s best chance of returning to the Champions League next season, should be the main priority. In this particular case, fans, players, and everyone involved with Arsenal will need patience. Lots of it, seemingly, if Emery continued to integrate his way of playing into this team. One question that does remain is that while still maintaining Emery’s tactics, which formation should Arsenal use? A 4-2-3-1 which was used against City, but would Özil not be better off playing as the no.10? How about a 4-3-3, which would relinquish the need for a no.10, and would also require/encourage more balance in midfield, which may help when possession is lost in their own half? Or, a 4-4-2, which would enable a two-man frontline of Aubameyang and Lacazette? Regardless of formation, I do think that Lucas Torreira needs to start in the deepest/a deeper mid.